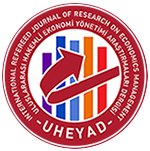 Publication Details for "Social Sciences Research Journal"
Aims & Scope: Social Sciences Research Journal is the official journal of Denta Florya ADSM Limited Company (DENTAWORLD).. Publication type is the academic journal. The principal purpose of the journal is to publish scholarly work in the social sciences defined in the classical sense, that is in the social sciences, the humanities, and the natural sciences (education, communication, geography, history, linguistics, psychology, anthropology, philosophy, philology, musicology, fine arts, sociology, archaeology, economics, international relations, social work, political science, international studies, business management, applied econometrics, applied statistics, law, public administration). The journal serves as a publication medium for the solution of problems in the field of social sciences. Description: Serves as a publication medium for the solution of problems in the field of social sciences.